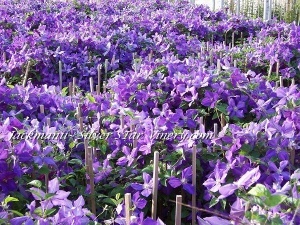 A tried and true clematis that has been a favorite for over a century with Deep Purple flowers with a red shading along the bar. One you will most definitely want growing in your gardens!! Free flowering too. 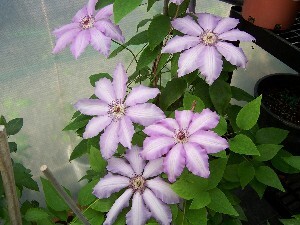 A beautiful large flowering clematis that does well in the garden as well as a large pot. Big Lilac colored flowers with a white bar and reddish anthers. I am pleased to be growing it again.